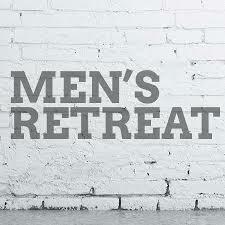 Save the date for the 2019 men’s retreat, a time of biblical teaching and men’s fellowship. Guest speaker will be Ed Glover of ManUp Pittsburgh/Urban Impact Foundation and the retreat will be held at the popular Antiochian Village Conference Center. The Friday Night schedule begins with worship and teaching promptly at 7 p.m. There will be pizza served afterwards. Saturday begins with prayer from 7-8 a.m., followed by breakfast from 8-9 a.m. Worship and teaching will start at 9 a.m. You will have free time and lunch on your own from 11-2 p.m., then the next session begins at 2 p.m. Dinner will be served at 4 p.m. Cost includes lodging, pizza on Friday, and two meals on Saturday. An optional sports activity will occur after Saturday dinner. There will be an additional cost of $35; participation is completely optional. To register, please contact the church at 724-929-9290.